With your visit to Crete, do not forget to explore the beautiful Rethymnon. With a car hire you will find it very easy, especially if you want to move around the prefecture of Rethymno and of course the neighboring Chania! With the many drop off and pick up locations that we offer, it will be very easy for you to travel throughout the island without stress! Rethymnon is built in the same place that the ancient Rithymna was built, giving rich archaeological material that reveals a remarkable ancient city with a developed trade. During the Venetian rule, which lasted until 1669, they built many of the cultural and architectural relics of the city, such as the Castle Forteza, the beautiful old town with houses from the Venetian period and flourished during this period arts and literature. The conquest of the city by the Turks in 1669 led the city into decline and abandonment, while after the liberation began the development of the city. 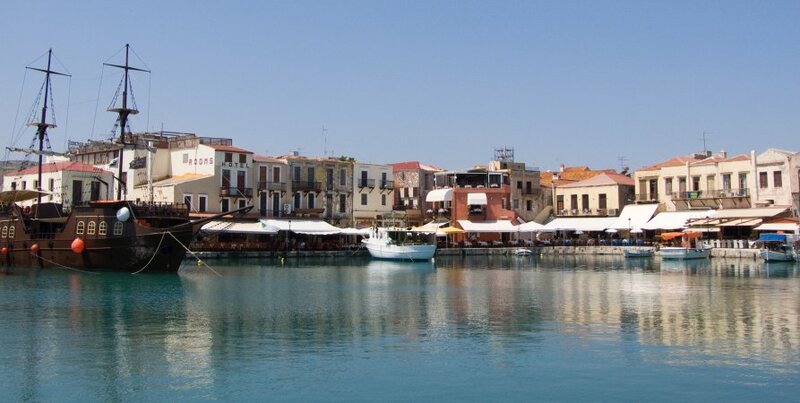 Today Rethymno has significant touristic development! With a rental car you will explore all the beautiful beaches of Rethymno, on the north and south! Panormos and the village will delight you, Platanes, Plakias and Bali are some of the most remarkable beaches, but if you like to relax, pick the farthest route for the deserted beach Triopetra!